Italian football is missing something. Throughout the storied lifetime of Serie A, there have been many of the greatest players to grace the game as well as many of the finest teams ever assembled. 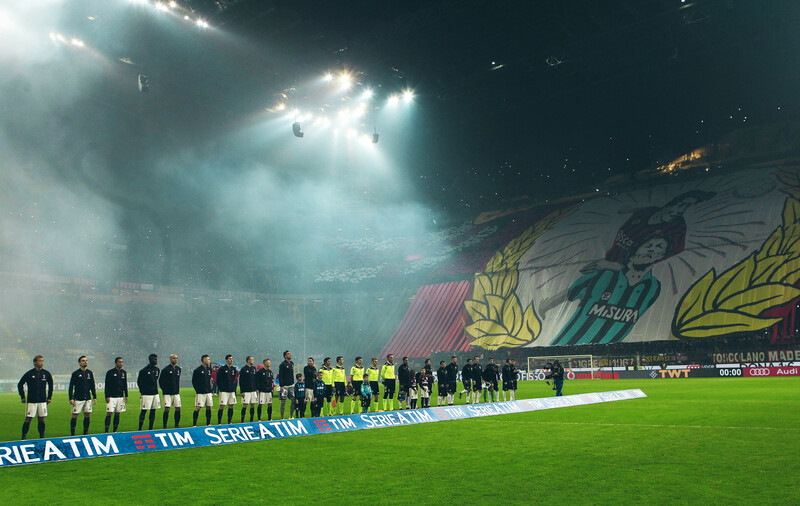 Another wonderful face of Italian football has always been its historic rivalries. The Eternal Derby between Lazio and Roma is a fierce and intense example, but nothing raises the hair on the back of footballing fans’ necks quite like the Derby della Madonnina, contested between the two giants of Milan, AC and Internazionale. The two sides have always seen themselves as giants of the game; in terms of success and trophies won, there is no rival to Milan. Between them, Internazionale and AC Milan have won 36 Scudetti, 12 Coppa Italias, ten Champions Leagues, five UEFA Super Cups, five Intercontinental Cups, three UEFA Cups and two Club World Cups. A trip to the pair’s shared museum at San Siro is like walking into an oversized treasure chest. Unfortunately, in recent years both Milan clubs have somewhat fallen from grace and are no longer the premiere forces in Italian football. Inter and AC have had to endure turbulent times lately and watch while Juventus rose from the ashes, recovering from the disgrace and indignation of the Calciopoli scandal to cement their place at the summit of the Italian game. It has been a painful transition for both Milan clubs, facing up to the reality that they are no longer the most feared outfits in Italy. They are both currently struggling to reclaim their identity and their power within Italian football as they languish some way behind their rival from Turin. As a result, the Milan derby has lost some of the lustre and spectacle that made it an unmistakable sporting event for several decades. Whether or not it carries the power and punch of Madonnina’s of yesteryear, the derby is still one of the footballing events to witness before you die. The match takes its name from the golden Virgin Mary statue which overlooks the Duomo in the city centre, giving the match a sense of deep religious resonance. As well as the statue, the stadium in which the games are played is an intrinsic factor in the enormity of the derby. Twice a year in Serie A, the iconic San Siro stadium is transformed into a cacophonous crucible while it stages the derby. It is the quintessential cathedral of European football and provides the perfect backdrop for one of football’s ultimate exhibitions. San Siro was renamed as Stadio Giuseppe Meazza in 1980 after the death of legendary striker Meazza, who played for both Internazionale and Milan. In over a century of rivalry, it was Meazza himself who came closest to bridging the chasm between the rivals. Even though the better part of his career was spent at Inter, Meazza also became a Rossonero for two seasons and it was also reported that he cried when he scored for Milan during such a derby. As is always the case with football rivalries, the Milan derby is multi-layered with political and social elements that only add to the fervour and discord between the two sides. It is a footballing enmity steeped in historical context, with the split between right-wing and left-wing politics affording the derby the potentially explosive undertone of political allegiance. The Milan Football and Cricket Club, presently known as AC Milan, was founded in 1899 by English ex-patriots, Herbert Kilpin and Alfred Edwards. The club immediately emerged as one of the finest teams in Italy and enjoyed instant success, but by 1908, less than ten years after its inception, a schism occurred that gave birth to the rivalry that still burns strongly today. A splinter group within the Milan club broke away and formed Internazionale Milano after a disagreement surrounding foreign players. Internazionale was founded under the ethos of bringing foreign players to the club while AC retained a policy of fostering Italian-born footballers. Following the split, both teams began to consolidate and develop their disparate identities. Inter quickly became the club of the Milanese bourgeoisie and wealthy industrialists whereas AC became the club of the working class. It is so often that within derbies in world football, there is a club that represents the higher classes of society and a club which is the voice of the working-class. It is a split which represents one of the most discussed societal issues; a difference in class and how that affects society. The Milanese derby is no different and the contrast inherent in the two sets of fans is one of the reasons why it is a football match of such fiery passion. Undeniably, however, the derby is made on the pitch. Both teams have enjoyed periods of dominance in Italy and it has always added spice to the rivalry; the quest for superiority and supremacy. Both clubs have showcased a plethora of footballing immortals, from Kaká to Zlatan Ibrahimović, Ruud Gullit to Ronaldo, Franco to Giuseppe Baresi, and the unforgettable AC legend Paolo Maldini, the Derby della Madonnina has always showcased some of the finest talent in the game. It is a game that has produced legends and heroes, providing some of the classic memories in Italian football’s history and has created a glorious, enduring rivalry that divides the blue and red sides of Milan. Although the recent meeting between the two sides have not done much to reignite the excitement and drama the rivalry was built upon, there have still been many a fixture that has highlighted the brilliance and class that is made up in the DNA of this great derby. The bitterness and competitiveness of the rivalry really escalated during the 1960s when the match was defined by two of the greatest talents ever to grace Inter and AC Milan; Sandro Mazzola for Inter and Gianni Rivera for AC. Both players were central to the success of their respective teams in an era that saw the Milan duo rise to the top of the European game. AC claimed the European Cup in 1963 while Inter responded with back-to-back triumphs in ’64 and ’65. In 1965, the match that epitomised the high-standard of both sides was Inter’s 5-2 hammering of AC, when Mazzola confirmed his status as an Inter legend as he scored twice to inspire his Inter side to a glorious victory. The match signified the mushrooming dominance of Inter as they went unbeaten in the next seven Milan derbies in a period when they claimed three scudetti in four years from 1963-66. Inter have also experienced their own spells in the shadow of their neighbours; in the late ’80s and early ’90s, Arrigo Sacchi’s Milan dominated Italian and European football, winning the European Cup in 1989 before Fabio Capello helped maintain their pre-eminence by leading them to a historic Champions League triumph in 1994, defeating Barcelona 4-0 in the final. That period of immortality was preceded by a phase in the doldrums for the Rossoneri though, banished to Serie B in the 1980-81 season for their role in a match-fixing scandal. After gaining promotion back to the top-tier, they found themselves inadequately prepared for survival and found themselves back down in Serie B before they managed promotion once again. Back at the high table of Italian football once again, AC faced Inter in another classic in October 1984 that represented a changing of the guard in the Milanese derby. Following a 2-1 win for AC, it was the red and black of Milan that went onto to establish themselves as the leading lights in Italy once again. 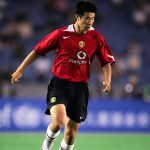 But perhaps tensions have never been higher than in the aftermath of the infamous abandoned Champions League quarter-final between the Rossoneri and Nerazzurri in 2005. What was supposed to be one of the derby’s finest moments ended in farce as crowd trouble led to abandonment of the match and AC Milan being awarded the tie 3-0 on aggregate as a result. After Inter’s Esteban Cambiasso had a goal disallowed, the match was suspended for 20 minutes after their fans threw fireworks and bottles onto the pitch in protest. The match resumed for a short period before the referee decided to abandon proceedings indefinitely. Despite being a dark chapter in the rivalry’s history, the match provided a seminal image that was forever etched onto the minds of those who saw it: Inter defender Marco Materazzi leaning on AC Milan midfielder Rui Costa as the two witnessed the madness unfolding and flare smoke engulf the stadium. It was a stark image that conveyed both the intensity of the rivalry but also spoke of how footballers wish not for the fanfare to descend into violence and danger. Following the debacle in the Champions League, the rivalry reached a pinnacle in their next clash in Serie A as Inter sought revenge for the humiliation endured in front of the watching world in UEFA’s biggest club competition. In December 2005, they played out an all-time classic that displayed all the passion, intensity and excitement that great rivalries thrive upon. Inter had a lot to prove; as well as the Champions League farce, they had not beaten their closest rivals in ten previous attempts, and so there was an added pressure on the Nerazzurri who were the ‘home’ team for the night. After Adriano and Andriy Shevchenko netted a penalty apiece to make it 1-1 going into the interval, the tie exploded spectacularly in the second-half and transpired into one of the most exciting Milan derby’s in recent memory. Obafemi Martins poked Inter into the lead before Jaap Stam rose high from an Andrea Pirlo free-kick to level the scores once again. Brazilian marksman Adriano was not to be denied the headlines though as he struck deep into injury time to round off an all-time classic and give Inter a much-needed win over their nemesis. Ten months later, Inter completed an even sweeter victory when they edged a seven-goal thriller 4-3 thanks to an inspired performance and a feast of attacking football. Hernán Crespo, Dejan Stanković, Zlatan Ibrahimović and Marco Materazzi all struck for the Nerazzurri as they eclipsed their rivals in another blood-and-thunder game. 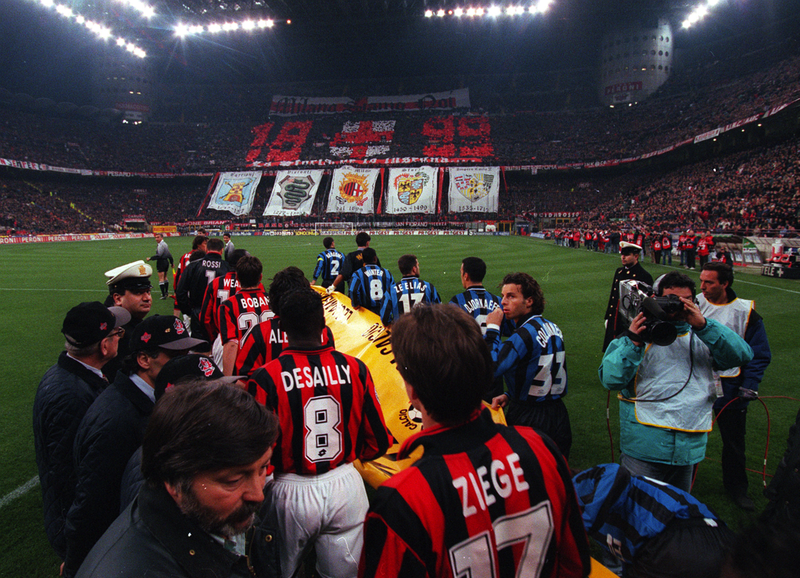 Sadly, one of football’s most passionate rituals has lost its spark in recent years and the harsh reality is that the Derby della Madonnina doesn’t quite stir the emotions quite like it used to. All it needs though is a revival, and it doesn’t take much. What Italian football’s greatest rivalry needs, more than anything, is for one of its two sons to rise up and become an authority once again. Historically, the derby has been at its mesmeric best when one of the two clubs is fighting for supremacy, be it in Serie A or in the Champions League. The prospect of preventing a great triumph for the enemy is a deeply entrenched root of this rivalry. Sometimes in football, it is not about winning, but about stopping those you hate tasting the sweet fruit of success. The Derby della Madonnina is still unequivocally matched in terms of magnitude in global football but it has lost much of its stardust and appeal. However, there remains a deeply embedded rivalry that only needs a little fuel to reignite the fire once again. The wider economic downturn in Italy and Europe has profoundly affected the clubs as they have been forced into selling their superstars in recent years, Zlatan Ibrahimović and Thiago Silva from AC Milan for example. However, the history and tradition of this greatest contest can never be doubted and as long as the passion remains the same, the Derby della Madonnina will rise once again.